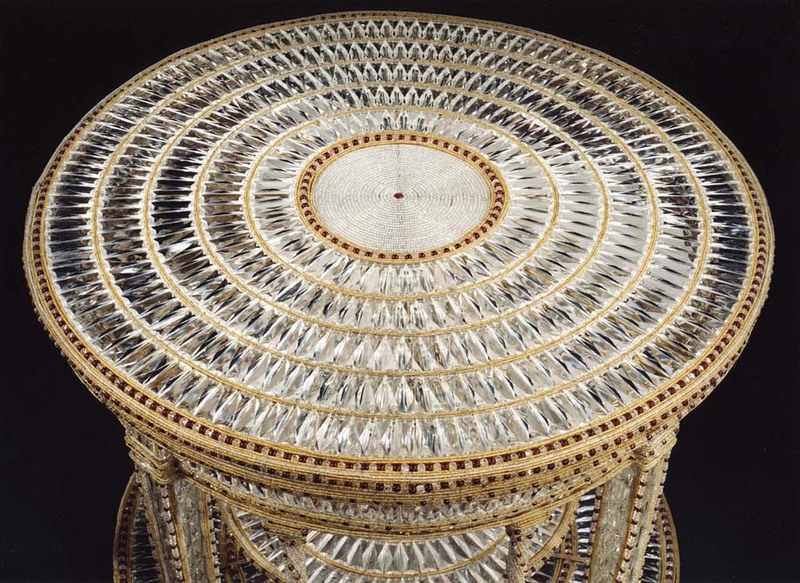 The table is made from thousands of rectangular chandelier pendants, drops, and glass beads. The use of ruby and pale amber cut glass being most interesting. 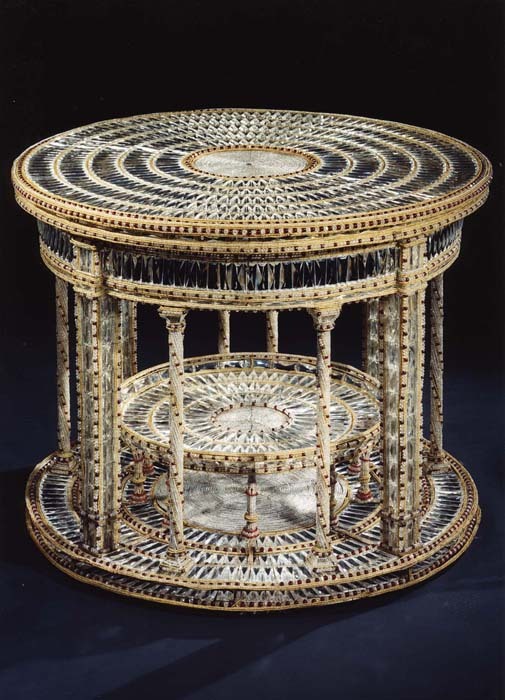 The table top has concentric rings of rectangular glass pieces with a center design made from a spiral of beads and edged with bands. 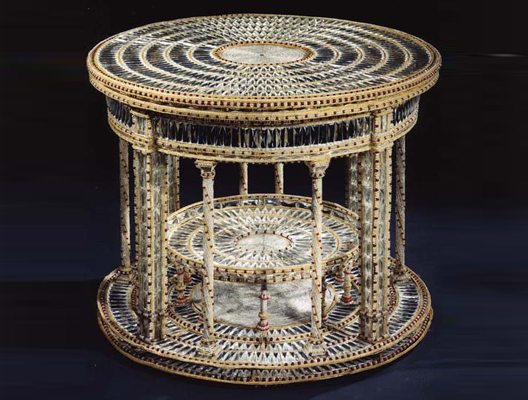 The top is supported on four tapered legs and divided by columns with strings of glass beads spiralled around them. 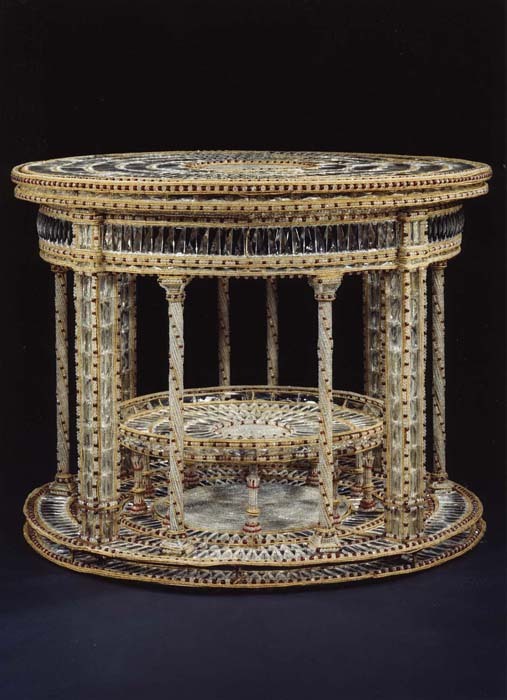 The irregular placement of the columns would suggest that this table was designed to be placed in a specific area of an important interior. The base platform is a mirror image of the top except that it retains a set of ten columns that support the platform all made from various coloured glass.